Tractors and backhoes, supply sheds and shower liners—what do these things have in common? Thermoformed Plastics. 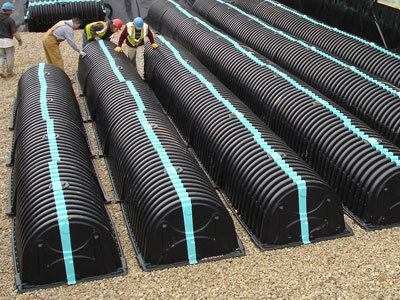 Rigid, waterproof and long lasting are just a few of the benefits Vacuum Formed Plastic components bring to the Construction industry. 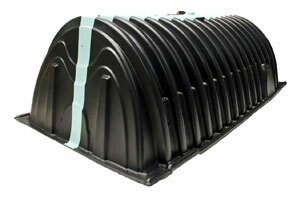 Thermoforming Plastic flanges for venting, toolboxes and mobile outhouses out perform traditional materials. Metal and wood cannot compete with the affordability, longevity and chemical resistance of plastic. 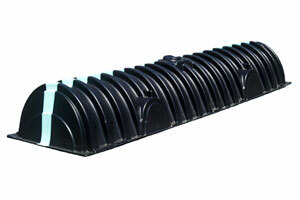 Thermoformed Plastic is lightweight making shipping, lifting and installing easier. Custom forming makes it possible to include other materials, accommodate special needs and even add a logo. Plus, food grade plastics like HDPE can be incorporated into Vacuum Forming products like baby changing stations, planters and other household items. Allied Plastics design team is experienced in making Thermoform Plastic products for building both standard and specialty items a reality. Come to us with your vision and let us help create your product from the best material possible. Contact us or request a quote.